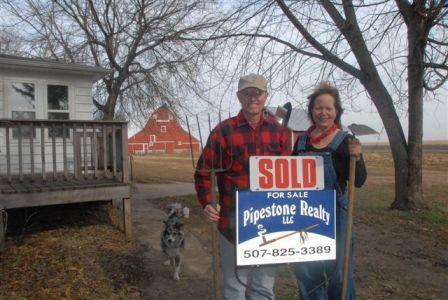 Margie & Mike bought this 6-acre hobby farm in SW Minnesota on Halloween, 2011. It hadn't been lived in for a couple years. 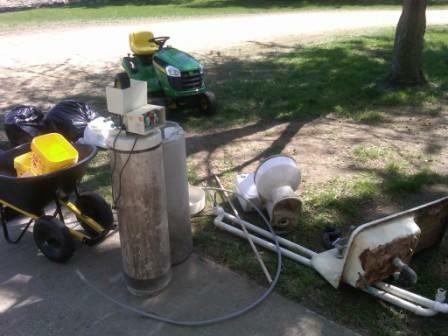 We spent the summer of 2012 rehabbing the house and grounds. Farming is hard! But we had the summer of our lives. We learned so much and completed so many projects. 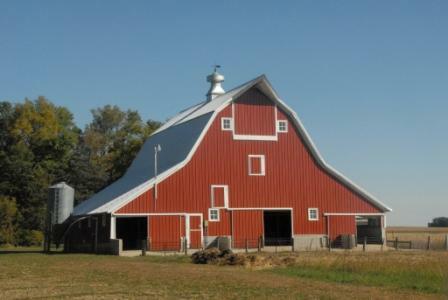 Mostly we learned a hobby farm is "an unending to-do list, surrounded by a fence." We have more to do but next year will be soooo much easier! 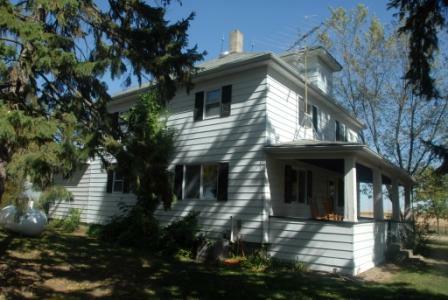 UPDATE: We finished the property rehab in the summer of 2013 and sold the farm for a nice profit. Owning two houses 800 miles apart was just too worrisome for us back then. It was a fantastic two-year adventure and we still miss the farm, even though Wyoming is spectacularly beautiful. The farm property looking from our front open acre. we dug, rototilled and planted a 50 X 50 garden near the house. After: Garden is fenced, planted and growing! Step one on the main floor: get rid of the smelly carpets. Margie starts applying primer. Finally! During rehab, ready for paint! 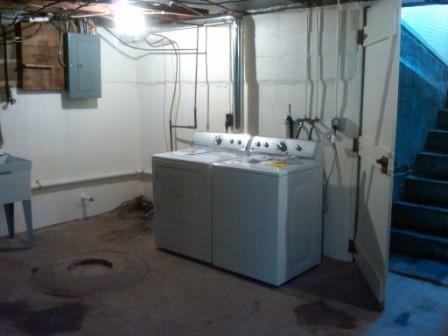 -- after a summer of washing dishes by hand -- we added a new dishwasher. refurbished floors and Margie's magic textured wall and ceiling paint job. Oh, and a bunch more electrical outlets added. 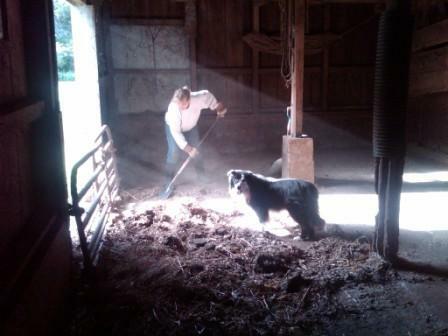 Mike shoveled years of pig manure from the barn. Bonus! He found the floor and it's concrete throughout! the electrical service off the house. 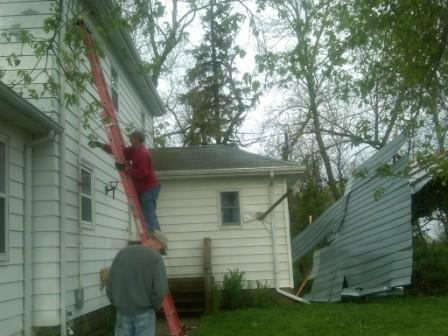 Even worse, (shudder) Mike's satellite dish was crunched. to our new John Deere mower, Mike still loves cutting grass. We made many great new friends!